Elevate your dining space literally and figuratively with this counter height table. 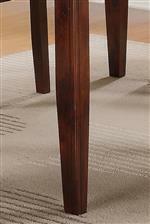 The tall table instantly refreshes any dining space, and features clean lines with tapered legs for a casual appearance. 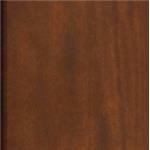 The table includes an 18-inch leaf to expand the table from rectangular to square. The Carey Espresso Square Counter Height Table with Tapered Legs at Walker's Furniture in the Spokane, Kennewick, Tri-Cities, Wenatchee, Coeur D’Alene, Yakima, Walla Walla, Umatilla, Moses Lake area. Product availability may vary. Contact us for the most current availability on this product. 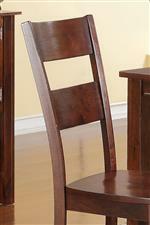 Create a dining space that is warm and laid-back with this casual collection of dining pieces. Featuring various table shapes and sizes, with options for standard height or counter height tables and chairs, this collection gives you a variety of choices with the same charming style. Tapered legs, ladder back chairs, and clean lines all keep the look simple and casual, while finish options present warm and sophisticated tones. Mix and match to create the perfect dining set for your style and dining room size. The Carey Espresso collection is a great option if you are looking for Casual furniture in the Spokane, Kennewick, Tri-Cities, Wenatchee, Coeur D’Alene, Yakima, Walla Walla, Umatilla, Moses Lake area. Browse other items in the Carey Espresso collection from Walker's Furniture in the Spokane, Kennewick, Tri-Cities, Wenatchee, Coeur D’Alene, Yakima, Walla Walla, Umatilla, Moses Lake area.